Hi. I have over twenty years experience as a counsellor and supervisor. I offer both short-term (focused) and long-term therapy, both face to face and online, to adults (individuals and couples/relationships) looking for a safe and confidential space to increase self awareness and wellbeing, address concerns and to work towards bringing about effective change. There is no charge for our first meeting. In this introductory session we will both get a feel for how we might best work together. I am a qualified and accredited Integrative Therapist, which means I draw on a wide range of theoretical ideas and skills in my practice, which is then tailored to meet the individual needs of my clients. I specialise in relationship issues, anxiety management, and gender identity. I also offer on-going professional consultative supervision for therapists and people in the caring professions, and coaching for those wishing to use a more focused approach to achieving their life goals. I have rooms in both Faversham and in Herne Bay. I first trained as a counsellor in 1992. I have a Post Graduate Diploma in Counselling, a Masters in Counselling and Psychotherapy, and I have been a fully accredited counsellor with BACP since 1999. 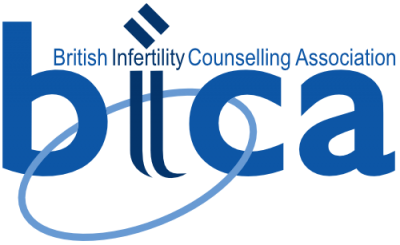 I am also a member of the British Infertility Counselling Association (BICA). I have worked in a variety of settings including GP surgeries, hospitals, the voluntary sector and private practice. I have provided both infertility counselling and bereavement counselling in specialist settings, and have worked for many years in generic settings where presenting issues are wide-ranging and varied. I work with individuals, couples and relationships of all kinds. For more about me, my work and my experience, please visit my website. My standard rate for new clients is £45.00 for a 50-minute face to face session, £40 for online. I also offer some concessions - please discuss these with me directly. Sometimes appointments need to be cancelled due to unforeseen life events, and I ask that if you can, you give me a minimum of 24 hours notice. There is no charge for sessions cancelled with 24+ hours notice. There are literally hundreds of different types of psychological therapy, but they can broadly be divided into three categories: behavioural therapies, which focus on cognitions (mental processes) and behaviours, psychoanalytical and psychodynamic therapies, which focus on the unconscious relationship patterns that evolved from childhood, and humanistic therapies, which focus more on self-development, and what is going on 'here and now'. As an integrative counsellor/therapist, my training has drawn on aspects of all these categories, but in the main it is a humanistic approach. This means we begin with (but are not limited to) what is going on in the present, and as the trusting relationship between the therapist and the client develops, this becomes a safe and therapeutic space to work towards greater wellbeing. 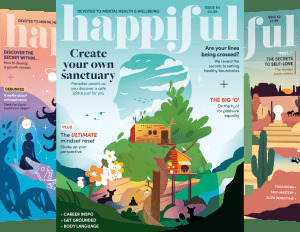 Clients are encouraged to think about their feelings and take responsibility for their thoughts and actions, and the therapy can be described as "holistic" or looking at the person as a whole, including context and social factors. I am available during working hours, evenings and Saturday mornings. Also for online counselling.